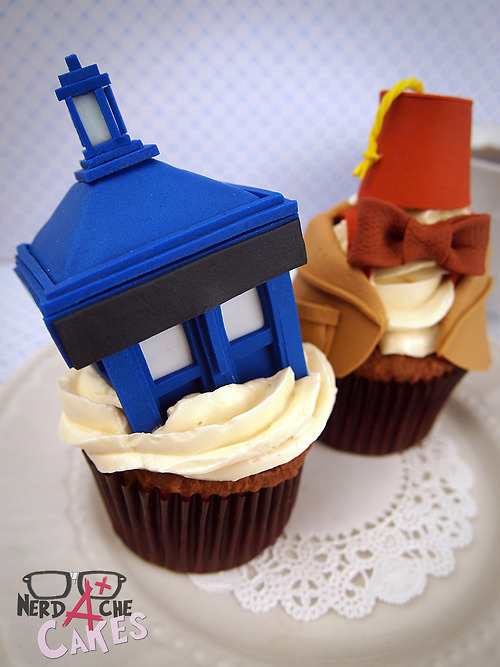 Although I would never turn away a cupcake no matter how plain it looked, I always appreciate when the cupcake maker goes the extra mile and does something amazing with it rather than just swirls some frosting on top and calls it good. 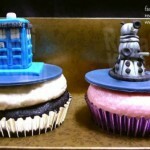 I especially love when they give the cupcakes a nice Doctor Who flare! 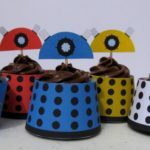 In the past, I have posted some cute Dalek cupcakes, but they aren’t half as amazing as these Doctor Who cupcakes! 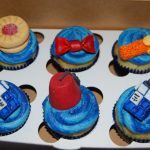 The awesome folks at Nerdache Cakes did an incredible job with these Doctor Who inspired cupcakes featuring half a TARDIS and the 11th Doctor’s fez, bow tie and jacket. 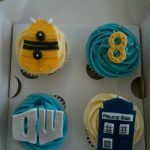 These are by far the most detailed Doctor Who cupcakes I have ever seen and might just be the coolest cupcakes ever made! 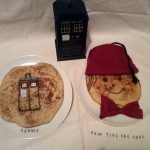 They look way too good to eat!